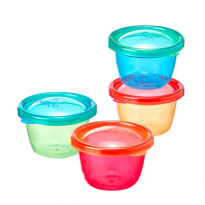 Start the weaning process with flexible plastic pots that can be placed in the fridge, freezer and microwave in little-taste-sized portions to make feeding your little one a lot easier. Plan ahead and batch cook meals and portion them up into perfect sized meal food pots then store them in the fridge or freezer, ready to go. 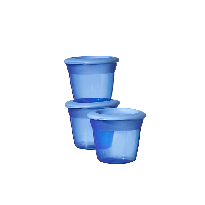 When out and about, maintain an ideal meal temperature, be that warm or cold, with insulated food containers. 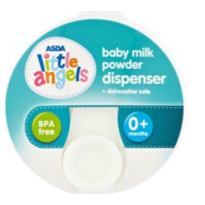 Compare parents reviews and find the best pots and containers you need in ConsoBaby.